Universities are competing with one another for students, and academic excellence is not enough anymore to differentiate themselves. Higher education institutions will compete largely on their ability to offer modern facilities and new services like Massive Open Online Courses (MOOC) for students, professors and researchers, while at the same time looking to optimize their operational costs. Different entities within the institution require autonomy to administer their network services. Poorly managed IPAM and DNS-DHCP services lead to a loss of visibility for the entire network infrastructure. In situations like this, there is a real risk of deploying conflicting networks, blocking communications and leading to service unavailability. 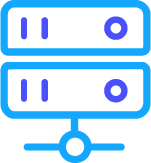 EfficientIP offers an integrated solution to intelligently simplify and automate design, deployment and management of critical DNS, DHCP and IPAM infrastructure for fast and secure new services. SOLIDserver™ SMART DDI technology ensures high availability, security, and automation to guarantee that university network infrastructure will actively support professors and students.